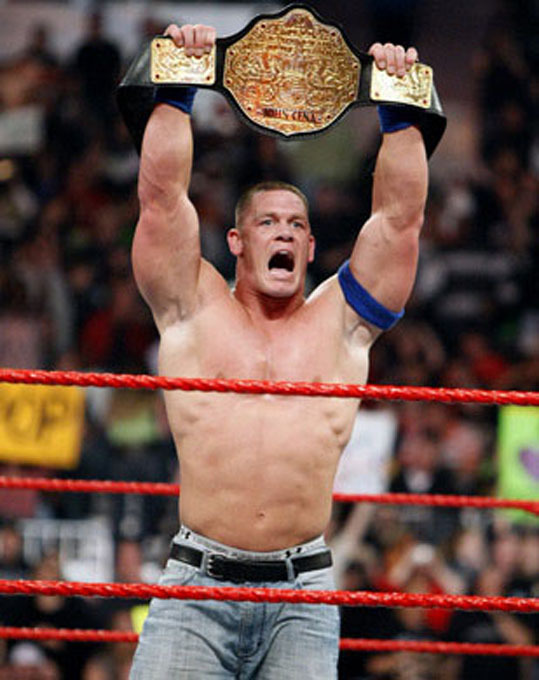 With help from Big Show, Edge defeated John Cena in a Last Man Standing Match in front of thousands of members of the WWE Universe to get what he came for championship gold. -amidst shards of broken glass- had to be removed from the arena on a stretcher by medical personnel. CENA IS THE FIRST TO HIT THE FLOOR! EDGE POUNDS CENA, LOOKING TO KEEP HIM DOWN! THE RATED-R SUPERSTAR CONTINUE TO CONTROL THE MATCH! EDGE KEEPS CENA IN A CHOKE'S HOLD! 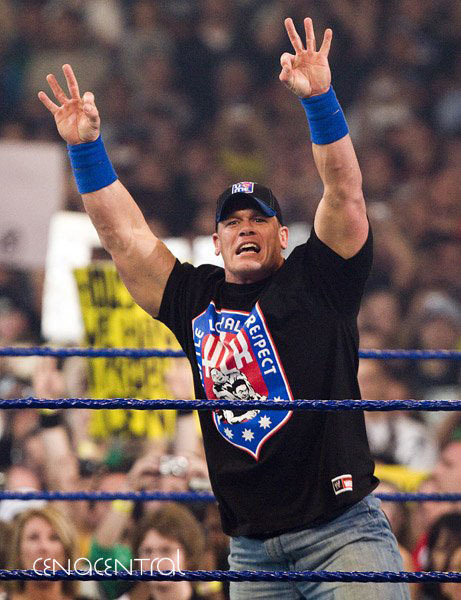 CENA BRINGS EDGE SKY HIGH! EDGE TAKES A TUMBLE INTO THE AUDIENCE READY FOR SOME CROWD SURFING! EDGE PUT CENA IN PRONE POSITION TO HIT A BRUTAL CON-CHAIR-TO CENA SKULL! EDGE GIVES CENA A KNEE TO THE KISSER! 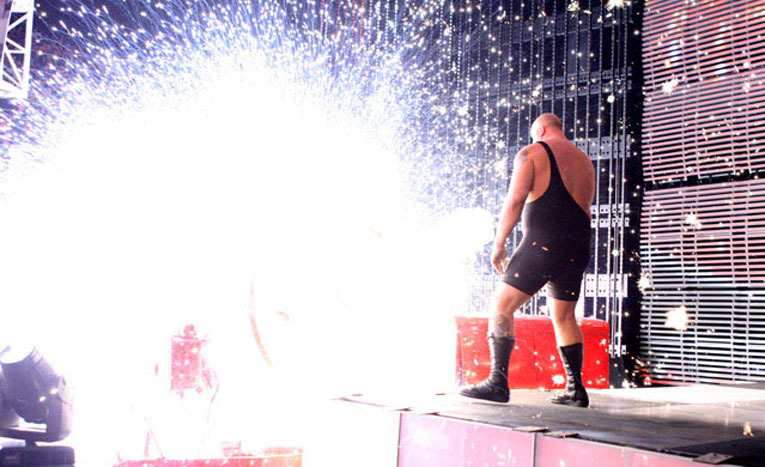 BIG SHOW COMES IN FOR THE CHOKESLAM OF THE WORLD CHAMPION! BRUTAL CHOKESLAM THROUGH THE SPOTLIGHT! EDGE IS THE LAST MAN STANDING BUT HE WAS NOT HIM WHO PUT DOWN HIS CHALLLENGER! 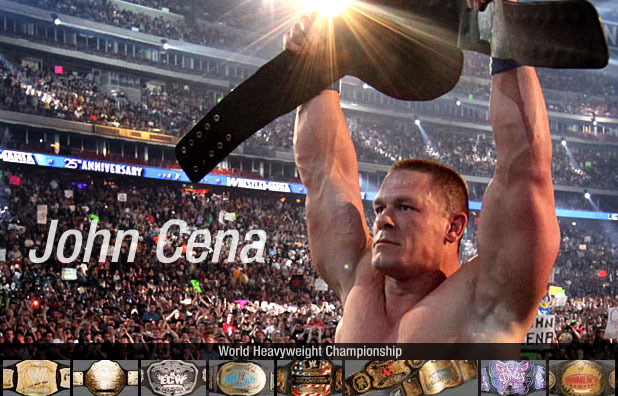 A WORLD HEAVYWEIGHT CHAMP WITHOUT ANY LEGITIMACY! CENA IS STRETCHERED OUT OF THE ARENA! First of all, it was a great match. A real -Wrestlemania level match-, even more attractive and pleasant to see that HBK~ Taker in Wrestlemania! Very Brutal and spectacular match as expected with a Cena's slow start as usual dominated by Edge skill then coming back with all his strength with this spectacular FU from the commentators'table; Then this powerful end with Big Show, obviously masterminded by WWE's creation team. WWE wanted of course The World Heavy Weight Championship back in Smackdown. A way to balance again the rosters without hurting Cena with a clean defeat, saving his face, a way to start again a big Feud between Cena and Big Show and to give Edge some legitimacy in Smackdown? But I Can't see Cena not seeking a bloody revenge. THAT IS THE WAY WWE MANAGES THE WRETLING ENTERTAINMENT.